DETROIT -- Ford Motor Co. is applying Hollywood-inspired animation technology developed in Detroit to its new manufacturing facilities around the world. The automaker will use the technology to help it build cars in Europe, Africa and Asia, including the new 2012 Focus being built in Germany. The goal is to create a less physically stressful workplace and improve the quality of vehicles. The technology also helps Ford trim costs by not having to replace unworkable parts. Ford has been using the animation technology, known as motion capture, since 2005 in North America. "We're very pleased with our results," said Allison Stephens, Ford's ergonomics specialist with vehicle operations manufacturing engineering. The motion-capture technology digitally captures movement, making nonhuman characters appear more lifelike. It's similar to the technology used in movies such as Mars Needs Moms and in games such as "Mortal Kombat." Researchers combine motion-capture technology with human modeling software in Ford's Detroit labs to design physically safe jobs at its global facilities. Researchers can simulate nearly the entire assembly of a vehicle. "If you're creating a situation at a work station, you simulate how you would move as a worker by using the digital manikin," Stephens said. Ford researchers are creating a multinational avatar based on Ford's North American virtual workers Jack and Jill. The new avatar will reflect the sizes and shapes of workers at assembly plants across the globe, Stephens said. Using this technology in North America has led to an 80 percent decrease in job-related injuries since 2005, she said. Ford also can address quality issues in the virtual workplace before they occur in the real world, Stephens said. 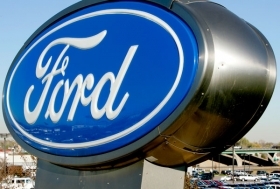 This yields higher-quality vehicles and earns Ford greater economies of scale in buying parts from suppliers because Ford knows which parts work best.